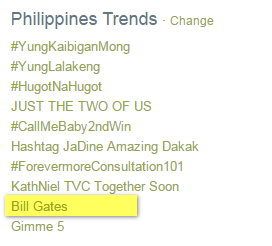 Bill Gates Visits the Philippines, Trends on Twitter : Why Is The Billionaire Microsoft Co-Founder Here? Apparently, during the 40th anniversary of Microsoft Corporation last April 5, 2015, its co-founder Bill Gates was in the Philippines. In fact, if we were to believe reports by anonymous sources, he's still in the country as I'm writing this as his chartered flight is tentatively set to depart Manila on April 16. The world's richest man - according to Forbes Magazine - is pretty active on Twitter (sharing what he does for his advocacies, his travels around the world for The Bill and Melinda Gates Foundation, and his thoughts about health care and technology) yet he has made no mention of this visit to Pinas. Obviously, it's supposed to be highly confidential -- but for some reason, it has found its way online and it's now one of the hot topics among many Pinoys in various social networking sites. But what is Bill Gates doing in the country? Why is he here? 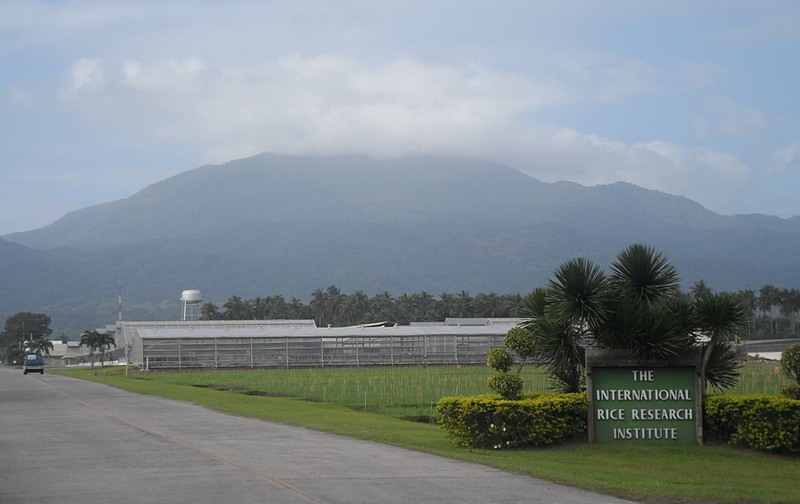 IRRI aims to reduce poverty and hunger around the world as well as to improve the health of rice farmers and consumers, and ensure environmental sustainability of rice farming. 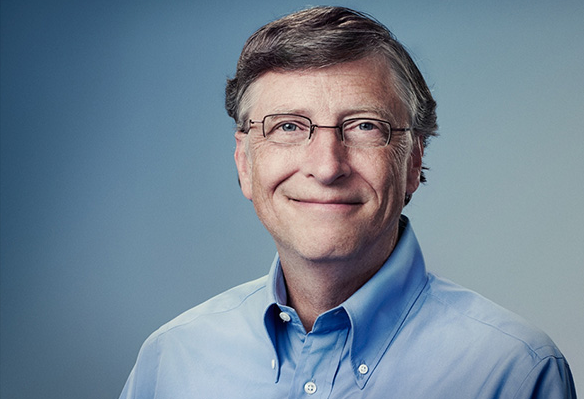 [source] This lofty vision is greatly in line with Bill Gates' own belief that agriculture is the key to reducing poverty in many parts of the globe. "It’s been proven that of all the interventions to reduce poverty, improving agricultural productivity is the best. All the other different economic activity - yes it trickles down - but nothing as efficiently as in agriculture," shared Bill Gates during the International Agriculture and Food Security Briefing held in May 2013, "[...] We’ve seen huge results, and without it we don’t see a way of achieving our goals, where kids can be healthy, their brains can fully develop, and they can have a chance to live a normal life." He added, "Most of the poor people of the world are farmers - farmers with very small plots of land, who have to deal with a great deal of uncertainty because they don’t know what their yield is going to be, and in many years they are making just enough - or not even enough - to have the food that they expect. [...] The great thing about agriculture is that once you get a bootstrap - once you get the right seeds and information - a lot of it can be left to the marketplace. This is a place where philanthropy and government work, and market-based activity, meet each other." It's clear that Bill Gates came to the Philippines to work and to take another bold step to make the world a better place (and I greatly admire him for that) -- but I hope he also takes time to relax at some of our beaches here. After all, that's what the Philippines is particularly known for (apart from the wonderful and fun Filipino people). And he could very well have already done so. I read that he actually entered the country via Puerto Princesa, Palawan onboard a US-registered chartered flight last April 4, 2015 and then, he 'immediately boarded an islander aircraft of Inland Transvoyager Inc. (ITI), a fixed base operator that has exclusive access to Amanpulo, a high-end private resort in Palawan.' I would imagine that that pristine isle would be a perfect place for him to just have fun and bask in the sun this summer. Bill Gates supposedly boarded an aircraft going to this beautiful island resort in the Philippines last Saturday. Amanpulo means 'peaceful island'. I hope he had fun.